You must be a member of the Frankfurt Photografando Group to attend this activity. Would you like to join this group? From the Idea of one of the FPG, I decide to create this event divided in more part to go to see the Graffiti and Street Art in Frankfurt. 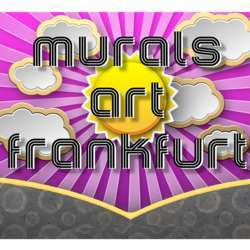 So let's say: The Photografando Group is going to visit the MURALS ART FRANKFURT Part 1. Please download the Brochure for the event by using this link below. A working photo camera or Smartphone capable to take picture. Useful but not required, an Tripod Selfie Stick and flash light.